...But it's not a surprising trend to people like John Stackhouse, an eminent professor of theology and culture at Vancouver's Regent College. "The most important problem religions face in British Columbia is the same problem faced by any serious people trying to interest the public..."
"We spend billions of dollars a year distracting ourselves from the 'big issues' of life; from our smartphones to our leisure activities, to our workaholism, to our kids - who has time to think about 'ultimate reality.' So we don't. "And we hope, every once in a while when we're on vacation or sitting in a hospital waiting room, that we're not, in fact, on the wrong road, heading for very big trouble." Stackhouse said the popularity of a specific religion will rise and fall, and some disappear altogether. "So not all 'religion' is 'relevant,'" he explained. "Religion is a map of reality and a guidebook to making your way through the world with that map. "Those maps that prove themselves to be useful continue to be passed along from one successful navigator to another. Those that give bad guidance are eventually discarded." Faiths that, for the last 10 to 20 years, have survived or bucked that downward spiral are the ones that "connect with people's feelings, minds, fears and hopes," Stackhouse suggested. "Some religions cater to our more noble characteristics, some to our less "Success, in terms of numerical growth and wealth, can come either way." 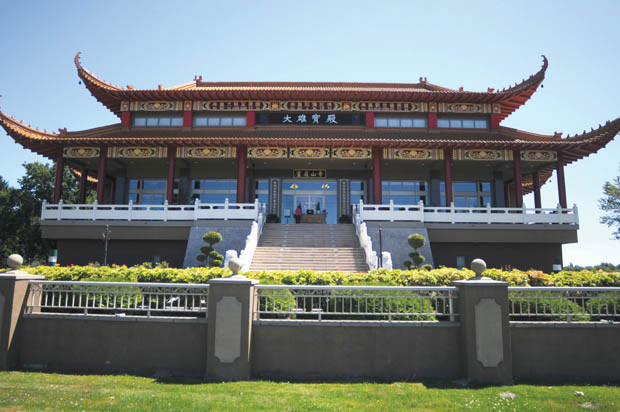 One of those religions that's faring better than most in B.C., the Lower Mainland and in Richmond is Buddhism..."